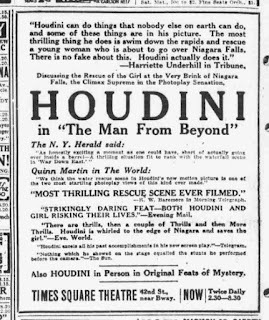 With the recent rediscovery and release of The Grim Game, I became intrigued with Houdini's movie career. While reading the Silverman bio on Houdini I came across a curious passage about something called The Houdini Wonder Show. I searched through other biographies and online sources and came up pretty much empty, with one exception, Joe Notaro's great blog called Harryhoudinicircumstantialevidence.com had a short piece on an escape artist who appeared in one of the shows. At that point I decided to take on the task of tracking down more information on this rarely covered Wonder Show. By 1922, Houdini had already made movies for Octagon and Paramount but he decided to go out on his own and create his own movies. The Man From Beyond was apparently written by Houdini in ten days. Houdini also produced, cut and edited the movie. And because he didn't have the backing of a big studio, he had to create his own publicity for the movie. 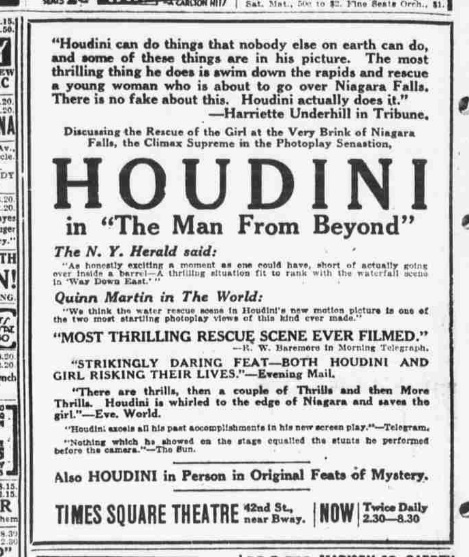 Houdini put together a rather unique publicity campaign. Any theater showing the movie, also got Houdini's Wonder Show. The movie debuted April 1922 at the Time Square Theatre and was a huge success. When Houdini first started the Wonder Show he presented a straight jacket escape and the Vanishing Elephant. Then 'The Man From Beyond' was shown to the audience. The entire program of show and movie made a great night of entertainment. This concept proved to be so popular Houdini created 4 different units of his Wonder Show. 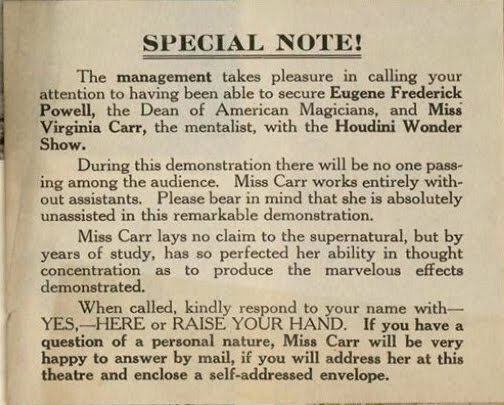 Heading up Unit #1 of the Houdini Wonder Show was Frederick Eugene Powell and mentalist Virginia Carr. Powell presented very classic magic. His effects included: The DeKolta Giant Flower Production, A multitude of handkerchief tricks with borrowed kerchiefs, The production of numerous silk cloths which transformed into a giant American Flag, and he finished with the Crystal Coin Ladder. Virginia Carr presented a mind reading act which by all accounts was a big hit. Unit #2 of the Houdini Wonder Show featured Genesta the Escape Artist presenting his death defying Barrel Mystery. Also in the show was manipulator Ericson and Mlle. Amelia. Ericson presented a classic card manipulation act similar to Cardini. Heading up Unit # 3 of the Houdini Wonder Show was Prof. Demont who presented magic, the Indian Box Mystery and crystal gazing. He also added an escape from a large mahogany box. Finally, the #4 Unit of the Houdini Wonder Show was presented by Mystic Clayton who did a mind reading act. At some point in time Frederick Melville was also added to the tour, though I find conflicting accounts of which show he was on. He may have been with Unit #2 and he presented his 'radio operated automaton/mechanical man' that he called 'Radiac'. And I have found mention of yet another performer by the name of Benton who appeared in one of the shows. Houdini continued to make appearances at some of the showings of The Man From Beyond but he scaled back his portion of the show. No longer was he doing the mammoth Elephant Vanish and straight jacket escape. Instead he replaced the magic altogether with a talk and exposure of fake spirit phenomenon. All of the units presented an hour of magic and mystery along with the showing of Houdini's movie The Man From Beyond. Who was Frederick Eugene Powell? 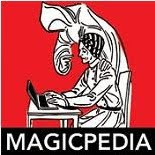 Frederick Eugene Powell was born March 1st 1856 in Philadelphia PA. His interest in magic began when he saw the great magicians of his day, Robert Heller, Signor Blitz and Wyman the Wizard. Powell was one of the true 'old timers' in magic, having lived through the late Victorian era right into the early 20th Century. He became the 2nd Dean of the Society of American Magicians, a title bestowed upon him by the then Illustrious President Houdini. He had a very interesting career as a full time performer that was interupted at one point when he took a position as chair of mathematics at Pennsylvania Military Academy. This regular job only last a few years before he was back on the road doing magic. In 1899, Powell joined forces with Servais LeRoy and Imro Fox to build a show called 'The Triple Alliance'. This was the precursor to Servais LeRoy's Monarchs of Magic. Fox only remained with The Triple Alliance Show for a year. Powell was one of the first to resurrect the Second Sight Act made popular by Robert Heller. He also presented illusions including a cremation illusion and the Noah's Ark illusion. In 1915, a fire in the Powell's home in Chester PA destroyed his entire show. He rebuilt the show and in 1921 that new larger show was destroyed by a flood in San Antonio Texas. His next stint in show business would be the Houdini Wonder Show. Frederick Eugene Powell died in a Nursing Home just a few days short of his 82nd birthday. He was born 20 years before Houdini and lived beyond Houdini's years. Who was Virginia Carr? Virginia Carr was a crystal gazer/mentalist. She was apparently quite the sensational performer as many of the reviews made mention of her beauty and her incredible act. She was blonde and she was married to James Colerton in 1912 and had been married once prior to that and had a son by her first marriage. In Vaudeville, she performed as Princess Zuleka the Mystic Mindreader. 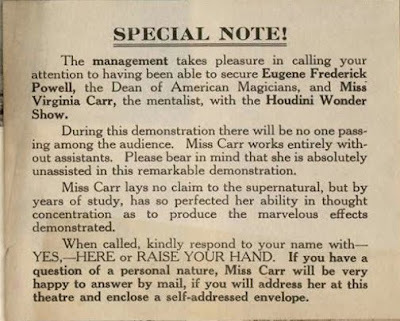 It would appear that her stint with the Houdini Wonder Show helped to propel her career as she went out on the road with the Virginia Carr Extravaganza Show in 1923 produced by George MacDonald. The tour was to begin June 25 at the Strand Theatre in Newark, but the show closed the following day. The initial reason for closing down the show was bad business due to very hot weather but soon the truth came out that marital infidelity was the true reason. Earlier in the year, Carr had been performing with the W.I. Swain Show in New Orleans. There she met a young 23 year old music director by the name of Andrew Paoli. They soon became romantically involved and before long she became engaged to Paoli. Carr claimed that her husband, Mr. Colerton, had died and the two lovers married on June 6th in NY at the Little Church Around The Corner. 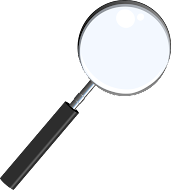 Mr. Colerton, who was very much alive, had lost touch with his wife and had been searching for her. At some point he heard that she remarried and was able to track down the church records that listed her as being 23 years old and widowed. Though I don't know her actual age, I'm gathering she was much older than 23 given that her son from her first marriage was 18 at the time. Mr. Colerton tracked down his wife and confronted her. She begged forgiveness and left Paoli to return to life with James Colerton. All of this happened prior to the June 25th Strand Theatre event. Following the closing of the show, Miss Carr vanished into the night and apparently so did Mr. Paoli leaving Mr. Colerton, the jilted husband and Mr. MacDonald, the jilted producer in the dust. This time she stayed with Paoli as I was able to find an article she penned for Billboard in 1926 under the name 'Virginia Carr Paoli'. She continued to perform as a mindreader as late as 1948, but at some point she went back to using the name Princess Zuleka. Who was Genesta? His real name was Royden Joseph Gilbert Raison de la Genesta. He was born March 29th 1878 in Ashland Kentucky. Genesta billed himself as The Wizard of Wonders and he began his career as a hypnotist performing under the name De la Genesta, but eventually settled up being an escape artist. In 1922, he was hand picked by Houdini to head up the #2 Unit of the Houdini Wonder Show. For his appearances, he presented his death-defying escape from a barrel of water. Basically, this was an effect like Houdini's Milk Can escape, a locked container filled with water in which he would escape. One benefit of having Genesta was his car. Yes, his car. Genesta traveled around in a Ford Motor Home which helped to defer hotel costs. He also carried his own scenery which was a backdrop curtain painted with diamond eyes. According to Billboard Magazine, April 1926, Genesta had purchased a ranch and retired to in Georgia. However, Genesta continued to grace the vaudeville stages as he appears in a news report just two years later doing his act. 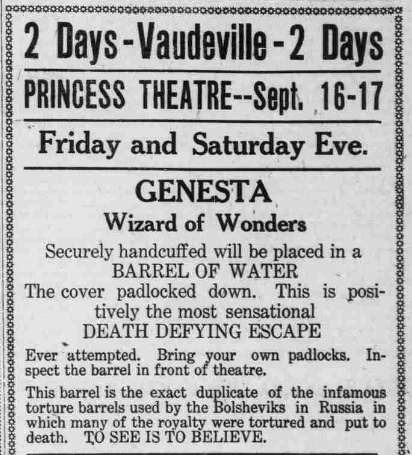 Genesta actually took a page from the Houdini book and used his Water Barrel Escape for challenges. In 1928 Genesta was 'challenged' by the Charlotte Coca Cola Company to escape from a 60 gallon syrup barrel. No doubt, Genesta's barrel was used for the effect, though it was still filled with water, not Coca Cola. Two years later, Genesta would actually go down in magic history for a tragedy with the Milk Can. According to Houdini's Fabulous Magic by Walter Gibson, Genesta was to present the Milk Can escape in Frankfort KY on Nov 8th, 1930. The stage crew apparently dropped the can while loading it into the theatre. That drop caused the can to be damaged and later during the show made it impossible for Genesta to escape. He had to be cut out of the can and was rushed to the hospital. He died the next day. One note however, the Linking Ring from Nov 1930 has his obit and it says that he was doing his Water Barrel Escape rather than the Milk Can. Genesta was known for his Barrel Escape so I have a feeling that indeed it was the Barrel that he got trapped in but it got reported as the Milk Can because the can was a better known escape overall. Both the Water Barrel Escape and Milk Can are basically the same sort of escape just with different devices. The outcome is the same regardless, Genesta died tragically. Who was Ericson? That's a good question. I believe Ericson was from England and he was a manipulator in the style of Cardini. He was known for a very classy card manipulation act and he also became famous in his time for a cups and balls routine which ended with three small glasses of wine underneath. I'm afraid I don't know much else about Ericson and his wife Mlle. Amelia. Who was Demont? He was an Italian named Charles Demont who lived in Brooklyn. A very versatile performer who was equally good at Punch and Judy Shows, straight magic, crystal gazing and even escapes. He was known to present Shooting Thru a Woman as well as Chinese Rings and exceptional billiard ball manipulations. He headed the #3 unit of the Houdini Wonder show. In later years, he changed his stage name to Dagmar. Who was Mystic Clayton? He was born Henri Clayton Wilbur and by all accounts was a charismatic crystal gazer/mind reader. He wore elaborate costumes which included a silk cape and jewel encrusted turban ala Alexander. 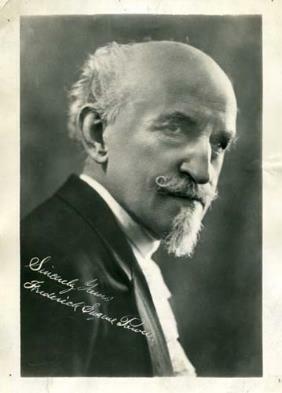 He performed from 1917 to the mid 1930s. In 1919, he collaborated on a show with The Great Leon called 'The Famous Oriental Miracle Show.' In 1922 he became Unit #4 of the Houdini Wonder Show. Following the successful run of shows and movies he hired Frederick Eugene Powell to open for him. That would end up being Powell's last full time gig as a magician. 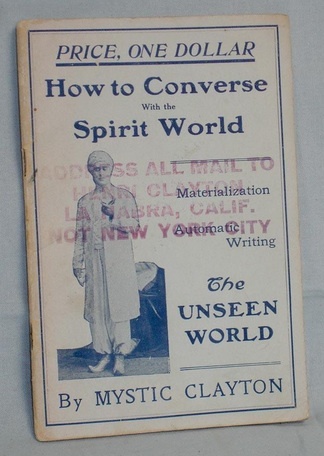 In 1923 Mystic Clayton wrote a book 30 pg book How To Converse With The Spirit World. Henri Wilbur died in 1945.
Who was Frederick Melville? He was known for an illusion called 'Moto-girl'. In 1915, he presented a lecture/talk called 'The Diplodicus' which I believe was a talk about the dinosaur of the same name. In the Houdini Wonder Show he presented some sort of radio controlled automaton. The Motogirl illusion actually was played by a female, so I'm guessing the radio controlled automaton was also what is termed a false-automaton (it looks like a mechanical device but it controlled by a hidden accomplice). Who was Benton? There is only one brief mention of Benton in all the articles I found on the Houdini Wonder Show. I have a feeling he was a quick fill in for someone who might have been ill. But I did track down Benton who was Professor Thomas Benton. In 1922 he was already past the age of 60 with a full head of gray hair and he had been in the magic business for 40 years. He presented magic as a master magician and could also present a marionette act as well as being and accomplished ventriloquist. Over at WildaboutHoudini.com there is a picture of an item that Houdini gave away during one of the Wonder Shows. Check it out here. 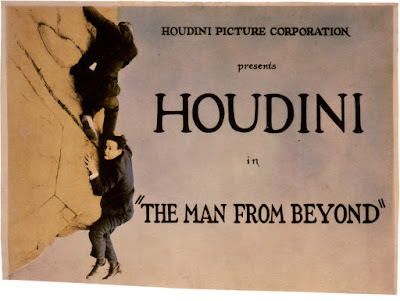 To wrap things up, in all the research to uncover the details of The Houdini Wonder Show, I came across one little article that was about the movie The Man From Beyond that I found very interesting. The article basically said that Houdini filmed a second ending to the movie in the event that one of his stunts went bad and he died during production. Now this could just be hype, or it could be real. 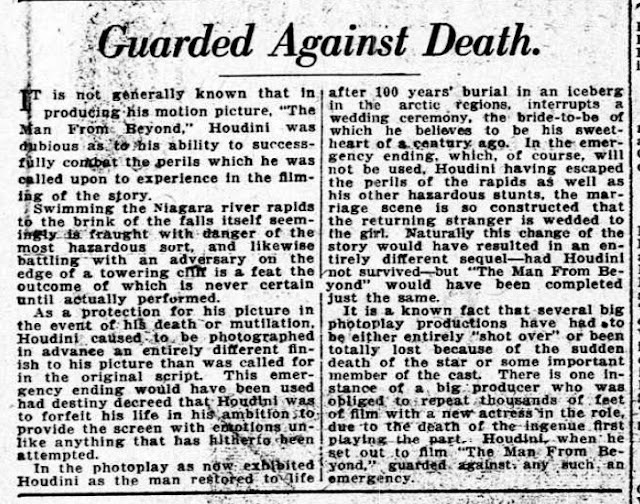 As Houdini survived the filming of the movie, he no doubt left the extra footage on the cutting room floor (if it existed at all). It's a fun fact about the movie, well fun trivia. Whether or not it's true we will probably never know. Where did you find the graphic that says SPECIAL NOTE! at the top? Believe it or not, it was in one of the scrapbooks from the Harry Ransom collection. I was searching for anything related to the Wonder Show and was about to give up when I saw this little clipping. Deeply appreciate your kind comments above, but must correct the record: the blog HarryHoudiniCircumstantialEvidence is run by our friend Joe Notaro. Thanks for that correction, I fixed it above. Your blog Houdinifile.com is also excellent! Great article Dean! HH decided to go out on his own because Hollywood had dropped him. The bean counters in the movie studios decided his box office draw was not going to be enough to sustain a film career. As you know from the Silverman bio, Powell had complained that HH was stingy with publicity and left out Powell's name a number of times.